Anyone who drives into National Forest lands for recreation, whether for hunting, camping, or just exploring, needs to be aware of the significant changes to the road network and the laws regarding motorized travel that have been implemented in the last few years. The Forest Service has been under a mandate since 2005 to develop plans for all of the national forests as a result of new regulations (Travel Management Rule, 36 CFR 212). The TMR requires that each forest analyze their policies and road networks, and generate a plan to control motorized access to “designated roads and areas only.” Not surprisingly, the result has been a significant increase in restrictions. I’ll describe the process as it unfolded on the Coconino forest. For many years, the travel rules on the Coconino allowed motorized vehicles anywhere in the forest (on or off existing roads) except for designated wilderness and a few sensitive areas which were specifically designated and signed and/or fenced. Motorized camping or game retrieval was legal pretty much anywhere - overall 75% of the acreage was accessible. The network of numbered forest roads (most of which are logging roads established many years ago) totaled over 6000 miles, with another 900 or so “unauthorized” routes. In 2006 & 2007, the Forest Service solicited public input (albeit rather quietly) and surveyed the existing road system. They released a “Proposed Action” report in late 2008 describing their intent to change the rules for motorized travel based on a belief that too many roads exist and that off-road travel is damaging. In 2009-2011 various plans and Environmental Impact Statements were generated describing proposed alternatives and rationale. In September 2011, the “Record of Decision” was released announcing the selection of Alternative 3A. The plan reduced the open road mileage to 3097 (over 50% cut) and restricted off road travel to big game (elk) retrieval only, within 1 mile of an open road. This cut the accessible area by ⅓ for game retrieval. Also, motorized camping was restricted to within 30 feet of an open road, or up to 300 feet in “designated corridors.” This reduced the theoretically-available area for motorized camping to only 3% of the forest acreage. These new rules went into effect in May 2012. 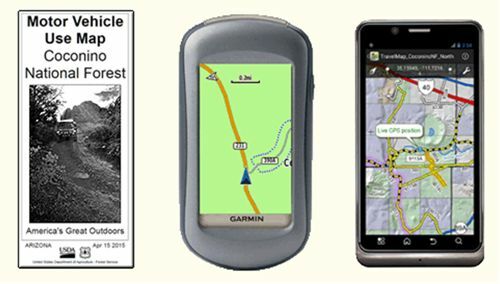 The Forest Service now issues annually a paper Motor Vehicle User Map indicating the remaining open roads and camping corridors. There’s a PDF version on their website, and a Garmin-compatible electronic version as well. What they did NOT do was make any attempt to mark closed roads with signage. There is now a small sign at many major forest road entry points that says “USE ONLY ROADS AND TRAILS SHOWN ON OFFICIAL MAP”. If you don’t have the map or haven’t heard about the rule changes you might think this means “stay on roads that are marked with forest road numbers.” That’s not the case - and in fact, the majority of numbered roads are now officially closed! They’re still there, many in good shape, but there are no ROAD CLOSED signs. Nor are there any markers for the designated parking or camping areas. (The Forest Service claims that signage is too expensive and too easily vandalized to be practical). A large proportion of existing, long-used dispersed camp sites with good parking, fire rings, etc. are now officially off-limits. And the newly designated camping corridors often include terrain that is unsuitable to actually camp on. The new rules, by design, often put campsites too close to a well-traveled road, subjecting campers to dust & noise. Due to a shortage of resources, the Forest Service has no realistic plan to effectively enforce all these new rules, and they are not likely to receive help from other agencies. Coconino County Sheriff William Pribil has been outspoken in his opposition to the Travel Management rules, and the Arizona Game and Fish department is on record as believing the restrictions to be unreasonable in many cases. In 2013, the Arizona legislature passed HB2551 which specifically gave Game & Fish officers discretion to ignore enforcement of travel management rules on Federal lands, prioritizing their role as wildlife managers. In my experience – talking to folks I met using forest roads or camped nearby – most users still don’t know much about the changes. Every summer since 2012, I have seen campers in “off limits” sites and obvious signs of use on “closed” roads. One major reason for the lack of public knowledge is the apathy of print and TV media outside the immediate area. The Forest Service publishes their proposed actions and announces opportunities for public input in the nearest newspaper to the affected forest, which for the Coconino is Flagstaff’s Arizona Daily Sun. The Sun has published a number of articles and editorial comments on the subject and taken a balanced stance. But even though the majority of forest users – hunters and campers - probably travel from the Phoenix area, the Arizona Republic has steadfastly refused to cover the issue. I contacted their outdoors reporter in 2008 and was told there was “no interest” in the story. The forest service has made an attempt to contact campers and hand out maps on certain roads, and on some of the more popular weekends. Later in the season, when deer and elk hunters are afield, there seems to be very little presence at all. Nevertheless, forest rangers can cite violators. In the 2013 and 2014 Travel Management Monitoring Reports, statistics on enforcement activity were tabulated. Examples were made of some off-roaders who caused significant damage or were involved in other criminal activity, but most of the contacts were warnings. Enforcement is primarily focused on sensitive areas and areas near private property or where complaints have been lodged. 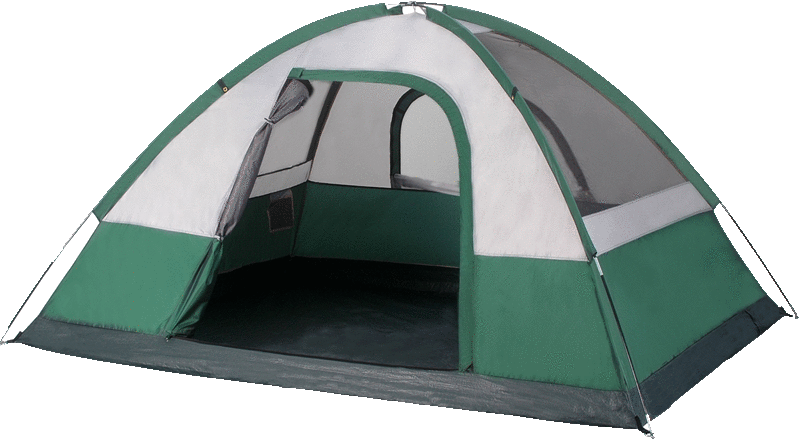 A longstanding federal regulation limits the length of time one may camp continuously in the forest to 14 days. It is common practice, especially for hunters, to set up camp for the 2-week “season” and leave trailers, tents, etc. in place during resupply trips to town. 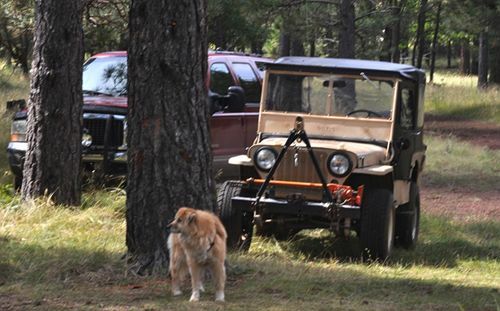 In August 2013, the Coconino Forest issued a press release indicating that any camp trailer left unattended for more than 72 hours could be considered abandoned and could be subject to confiscation. The Arizona Game & Fish Commission and the Coconino County Sheriff’s Department have both gone on record as opposed to this policy and have refused to cooperate in its enforcement. 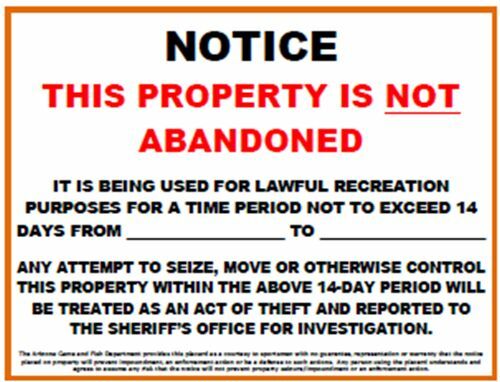 The AzGFD has recommended that hunters placard their campsites to document their intent to follow the 14-day rule. The Kaibab & Prescott National Forests have completed the TMR process and published Motor Vehicle Use Maps. In both cases the mileage of open roads was reduced, but not as drastically as occurred on the Coconino. Similar camping restrictions are in place, significantly limiting the areas in which motorized camping is permitted. The Kaibab Forest has attempted to place signage in the field to indicate closed roads. The Tonto NF has released a draft impact statement in June 2014 containing alternative proposals which would result in closing between 5% and 75% of the existing roads. The Forest Service has stated their preference for Alternative C, which would close 62% of the roads. The Apache-Sitgreaves NF has placed Travel Management on hold, claiming the Wallow Fire of 2011 has delayed efforts. A Transportation Analysis has been published and some alternatives have been produced. Currently, road maps are available showing open and closed routes and designated camping areas. Camping near the Rim Lakes area has been regulated for some time due to the popularity of the area. To their credit, the Forest Service has solicited public comment on the rules and promised to consider suggestions. They made some minor corrections to the Coconino maps in 2015 and have proposed more substantial changes, including re-opening some popular roads and camping areas in 2016. Significant changes to the plan have to go through the National Environmental Policy Act (NEPA) process which involves the usual bureaucratic morass of studies, hearings, notices, etc. For the Coconino, the contact person is Mike Dechter, Travel Management Project Leader, Coconino National Forest, 1824 South Thompson St., Flagstaff, AZ 86001; (928) 527-3620. I have talked to Mike in the past; he’s a reasonable guy and understands the concerns but he has a lot of conflicting opinions to reconcile. It would be good to add your comments as they do seem to listen even if they move very slowly. I was pleasantly surprised to find that one of my suggestions – reopening a road to a favorite camping spot – actually made it into the list of proposed actions. The comment period for the proposed 2016 changes runs through July 31, 2016. Presumably any changes would not become effective until the 2017 season. The email address is comments-southwestern-coconino@fs.fed.us, or you can use their web form linked below.